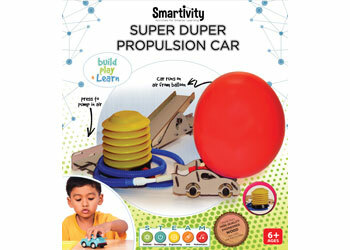 Create your own air-powered car and understand the fundamentals of motion, friction, thrust and propulsion. 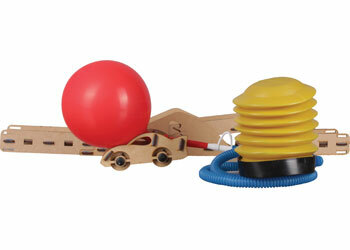 This kit allows kids to build an air-powered balloon car and play the Parking Garage Game. This kit comes with its own air-pump and kids have to judge and fill just the right amount of air so that their car is properly parked in the garage they build.